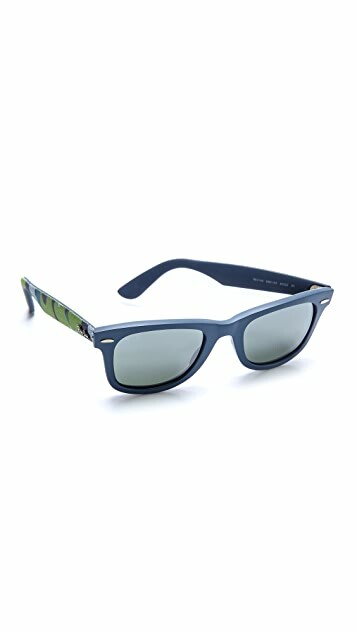 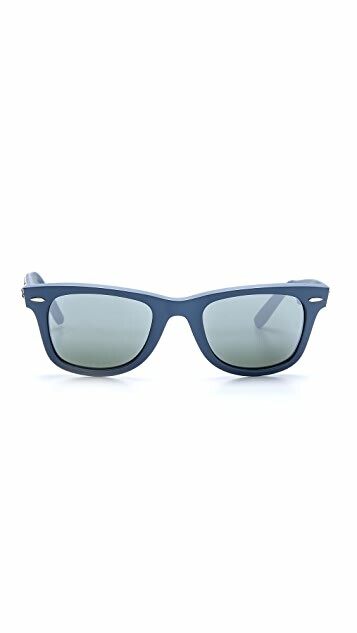 Ray-Ban's signature Wayfarer sunglasses, crafted with matte plastic frames. 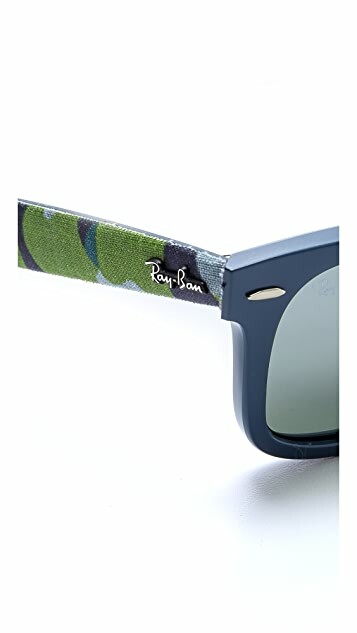 Camouflage fabric covers the rubber arms, and logo lettering accents the temples and right lens. 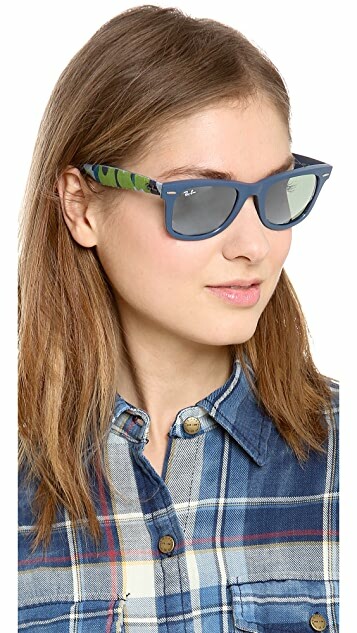 Case and cleaning cloth included.